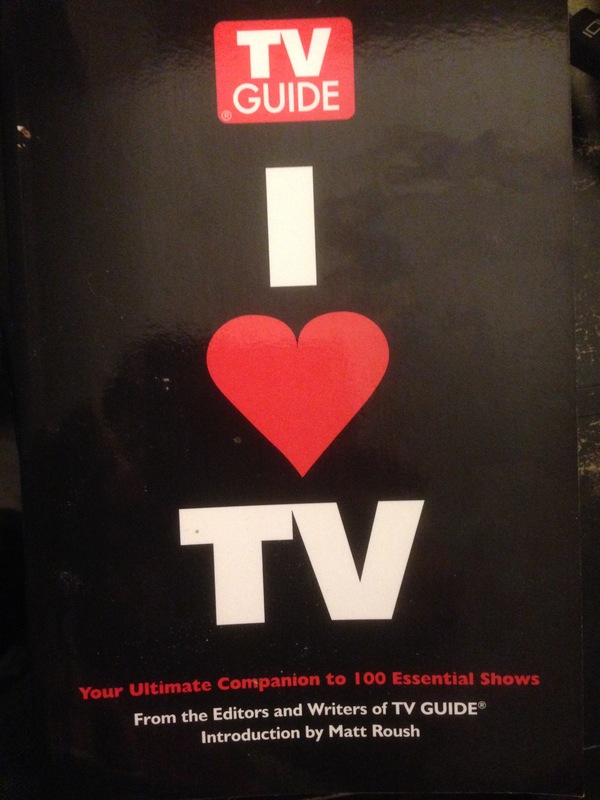 As long as I’m taking a gauzy walk down memory lane, here’s the first draft of another I Heart TV essay – my favorite of the contributions I made to the book. 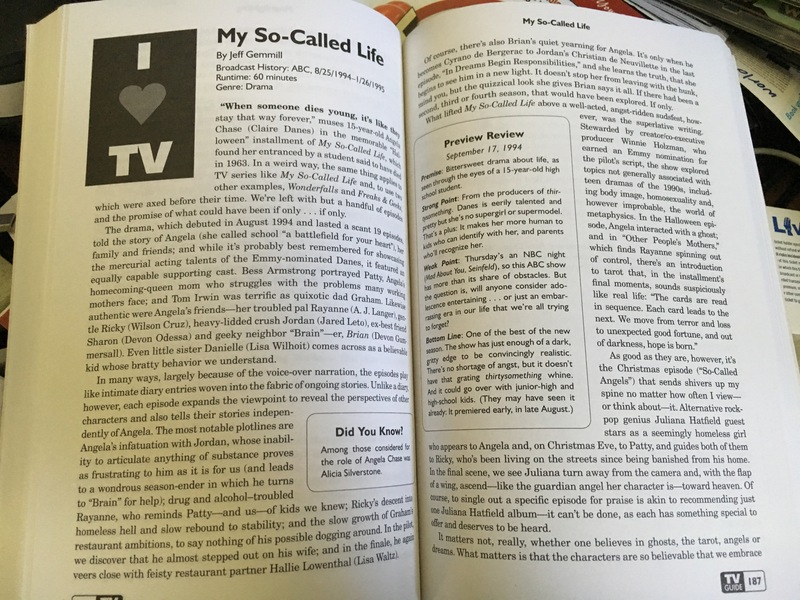 My So-Called Life was, is and will always be one of my all-time favorites, so being able to celebrate it in print…and mention Wonderfalls, Freaks & Geeks and Juliana Hatfield in the process? !…was something I truly cherished. 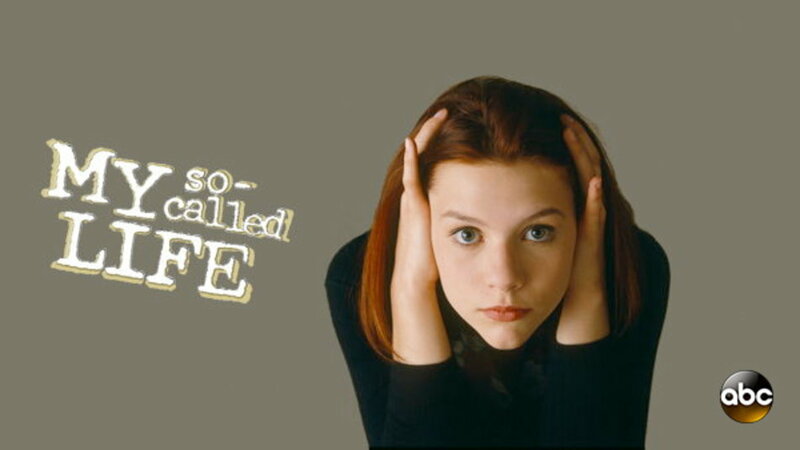 “When someone dies young, it’s like they stay that way forever,” muses 15-year-old Angela Chase in the memorable “Halloween” installment of My So-Called Life, which found her entranced by a student said to have died in 1963. In a weird way, the same thing applies to TV series, like My So-Called Life, Wonderfalls or Freaks & Geeks, that were axed before their time. We’re left with a handful of episodes and the promise of what could have been if only…if only. In many ways, due to the use of voice-over narration, the episodes play in part like diary entries woven into the fabric of ongoing stories. Unlike a diary, however, each episode expands the viewpoint to reveal the perspectives of other characters; and also tells their stories independently of Angela. The most notable plotlines are Angela’s infatuation with Jordan, whose inability to articulate anything of substance proves as frustrating to him as it is for us (and leads to a wondrous season-ender in which he turns to “Brain” for help); troubled Rayanne, who reminds Patty—and us—of kids we knew; Ricky’s descent into homeless hell and rebound to stability; and the slow growth of Graham’s restaurant ambitions, to say nothing of his possible dogging around. In the pilot, we discover that he almost stepped out on his wife; and in the finale, he again veers close with feisty restaurant partner Hallie Lowenthal (Lisa Waltz). Of course, there’s also Brian’s quiet yearning for Angela. It’s only when he becomes Cyrano de Bergerac to Jordan’s Christian de Neuvillette in the last episode, “In Dreams Begin Responsibilities,” and she learns the truth, that she begins to see him in a new light. It doesn’t stop her from leaving with the hunk, mind you, but the quizzical look she gives Brian says it all. If there had been a second, third or fourth season, that would have been explored. One hopes. As good as they are, however, it’s the Christmas episode (“So-Called Angels”) that sends shivers up my spine no matter how often I view—or think about—it. 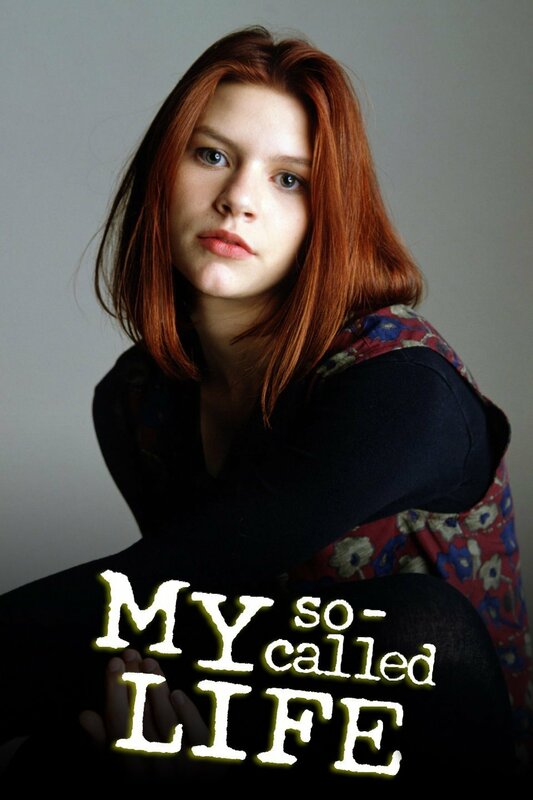 Alternative rock-pop genius Juliana Hatfield guest stars as a seemingly homeless girl who appears to Angela and, on Christmas Eve, to Patty; and guides both to Ricky, who’s been living on the streets since being banished from his home. In the final scene, we see Juliana turn away from the camera; and, with the flap of a wing, ascend—like the guardian angel her character is—towards heaven. Of course, to single out a specific episode for praise is akin to recommending just one Juliana Hatfield album—it can’t be done, as each has something special to offer and deserves to be heard. It matters not, really, whether one believes in ghosts, the tarot, angels or dreams. What matters is that the characters are so believable that we, the viewers, embrace them much as we do the people in our daily lives, quirks and all. Angela, Brian and the rest are no different than many a teenager, forever thinking they’re seeing the full picture when, in truth, they’re viewing slivers. As the season progresses, however, they gradually begin to grasp the complexities of life. In “The Substitute,” for example, Angela’s inspirational English teacher (Roger Rees) turns out to be a deadbeat dad on the lam from the law; yet he still motivates her to hold onto her ideals, and risk suspension in order to distribute the school’s banned literary magazine. Likewise, Patty and Graham—though more clued in about life—are far from perfect, with each confronting the same challenges many adults face at one time or another. In the end, though, watching My So-Called Life is indeed like viewing photos of someone who passed too soon. We lose ourselves in the snapshots and episodes, laughing at every mention of Tino (the show’s own Godot) while, at the same time, wishing for a different conclusion. And when Angela slides into the passenger seat of Jordan’s car in the finale’s final moments, her eyes glued on Brian…sadness seeps in. In a flash, everything that could and would have been is no more—except in our hearts, where Angela and friends live on.